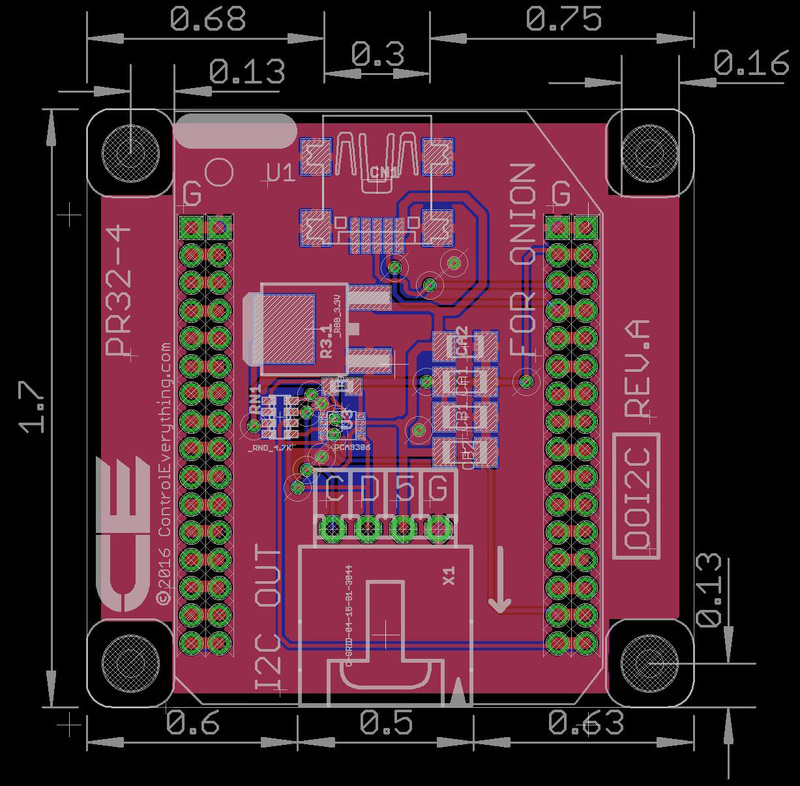 The Onion Omega I2C adapter is a general-purpose I2C Interface Adapter for the Onion Omega. This adapter provides a Micro USB Interface for power and programming the Onion Omega. A on-board level-shifter is included to convert the Onion Omega I2C Interface to our 5V standard. The Onion Omega I2C adapter allows the Onion Omega to connect to hundreds of sensors, relay controllers, current monitoring devices, and a growing array of FET drivers. So if you are looking for an Onion Omega relay board, Onion Omega FET controller, Onion Omega PWM controller, Onion Omega GPIO, Onion Omega Current Monitoring, Onion Omega ADC, Onion Omega Sensors and much more, then you can use this adapter with any CE I2C device and get Onion Omega relay controller, Onion Omega FET controller, Onion Omega PWM controller, Onion Omega ADC, onion Omega Energy Monitoring, Onion Omega Temp & Humidity Sensor and much more instantly. The OOI2C is compatible with the OOKF Key Fob Receiver, allowing a Key Fob transmitter to control the I/O lines of the Onion Omega. This interface adapter is compatible with Onion Omega 1 and 2.